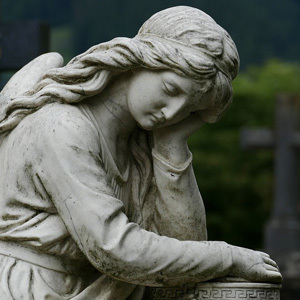 Coping with the sudden loss of a loved one can be one of the most challenging things a person will ever have to go through in his or her life. If you’ve found yourself in such a situation, going online or flipping through a phonebook to find a lawyer to represent your interests is probably the furthest thing from your mind. Unfortunately, if the negligent parties are being difficult, then having an experienced legal team on your side is absolutely essential. If you’ve navigated to this page, then your search is over. The Daly City wrongful death attorneys of the Nagelberg Bernard Law Group are in business to help immediate family members of the recently deceased gain the compensation they deserve for their terrible loss. We think it’s truly shameful that the people responsible for your devastation would attempt to escape responsibility for their actions, and we intend to do something about it. In regards to this last area, we believe that you should be fairly compensated for the sudden loss of a stream of income that is essential to providing for you and your family. Insurance companies might attempt to deny you restitution for this and other areas, but with us on your side, you’re setting yourself up to get what’s fair from those who caused this accident in the first place. Of course, no amount of money can replace someone close to your heart. But that doesn’t mean that the negligent parties who took that person away from you should be unpunished for the heartache they’ve caused. And with a 98.4% success rate and over $400 million for our clients, we think we can help. You’re likely reeling from the hand that you’ve been dealt, which is why we’ll negotiate with insurance companies on your behalf, keeping you updated along the way, so you can focus on getting through this terrible time. But to take advantage of our services, it’s important not to hesitate. California typically imposes a two year statue of limitations on cases, so you have to act fast. Starting your claim as soon as possible also ensures that evidence doesn’t decay and witness memory does not fade with time. To get started, fill out the form on this page or dial the number on your screen. Our lines are open at all hours of the day and night, and a member of our expert legal staff is ready to provide you with a free consultation. Honor the memory of your loved one by doing right by them. Contact the Daly City wrongful death attorneys of Nagelberg Bernard today.